Play the video above. The song starts with sandy synths and bass worthy of any indie-electronica act coming through Bardot, until about 24 seconds in. The beat skips a bit and the bass gets harder beneath the first bar of Fuete Billete's rap. 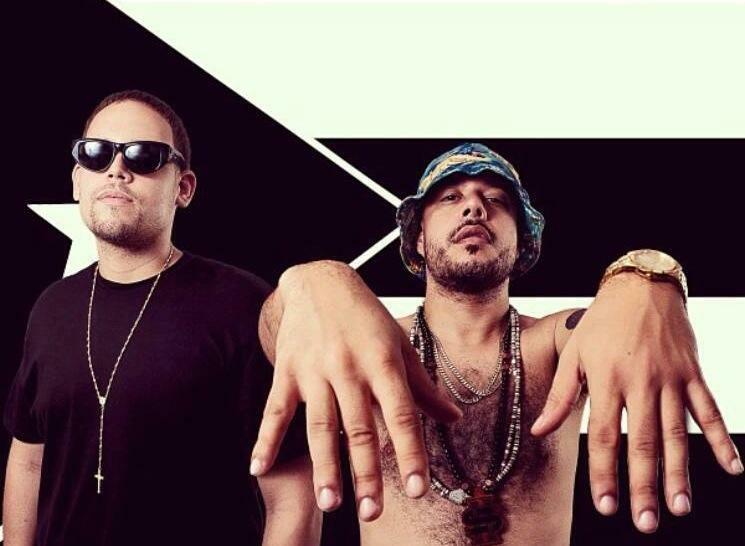 Emcees Pepper Kilo, Don Severo and producer Free Bass form the trio that's part of a wave of Boricua rap looking to bring back to the island a grittiness the musicians consider lost. Alvaro Diaz is another artist in this vein. His and Fuete Billete's tracks sound like they could be the final mix of a Lapalux-A$AP Rocky convergence. "[People] really don't expect Spanish-talking people doing what we're doing," Diaz says. He means that because he says rap on the island used to have a more "traditional" sound, citing the mainstream Latin sound of the '90s, which bred reggaeton and according to Fuete Billete, eventually moved into EDM. Diaz says in Puerto Rico, "hip-hop was dead." Fuete Billete's Free Bass says the trio's sound is an attempt to scandalize an uptight culture. He lists Miami's 2 Live Crew and the Hot Boys as inspirations for the group's party- and seduction-laden lyrics. "We live in a very moralist island," he says. "[It's] fake conservative, restricted as a society." And emcee Pepper Kilo thinks the role of rap should be to disturb that trend. "When I was a kid, rap wasn't wholesome," he says. "It was something my parents didn't want me to listen to. ... Spanish rap has been watered down since the past 12 years now." So the three of them are putting out music shaped by "druggy influences" -- Pepper Kilo specifying that doesn't mean they do drugs. They just listen to trippy beats popular now in some rap, and borrow trap music's fast snares. Fuete Billete's sound comes out of a Santurce, a San Juan neighborhood they say has been compared to Williamsburg due to the number of artists setting up headquarters there. But despite making music independently of cultural conventions -- staying away from salsa, merengue and reggaeton -- Pepper Kilo says Fuete Billete is pegged as "Latin rap," possibly a common ailment of Latin musicians. He hopes his group would "eventually just be considered rap." Fuete Billete and Alvaro Diaz will perform at the Garrett at Grand Central, 697 N. Miami Ave., at 10 p.m. Thursday. Electric Piquete is a Latin jazz and fusion band out of Miami. But when the band started in 2007, it performed as a traditional rock trio with guitar, bass and drums. Michael Mut, the bass player, says his band just wasn't booking enough gigs, so they decided to change their sound. The lineup for the second annual III Points festival in Wynwood was revealed yesterday morning. Headlining the event are electronic-music and hip-hop producer Flying Lotus and Lykki Li, who combines hip-hop and folk elements in her music. Hot Natured, a popular EDM group, will make its U.S. debut. The festival will also include performances from Hercules and Love Affair, Jacques Green, Miami's Jacuzzi Boys and Deaf Poets, among others. The money was hidden at the hospital where Elton Aguilera was born. He and a friend drove over. Once they parked, they ran. "My heart was pounding," he recalls. "I was sweating. Just the excitement, the adrenaline." Not long after, he found a white envelope taped to a fence. It had $50 inside. Instructions on the envelope encouraged him to take a selfie with the winnings and to follow In South Florida, a local online marketing group.